This New Moon brings the energy of Aries like a comet. 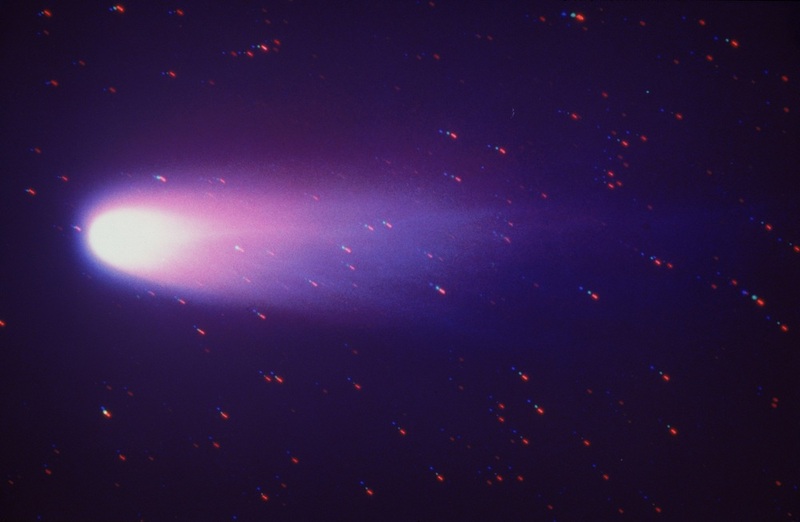 A comets' path is influenced by its relationship to light- it's trail is formed as a reaction to its closeness to the sun. Our relationship to our highest path is similar- the closer we get to our brightest beingness, our life path is guided in an impactful direction. This takes unapologetic confidence. Aries' drive, in essence, is confidence. It is intently purifying as it releases doubt- it's mojo is a risk taking bandit that attempts the unimaginable and pulls it off, too. Pure confidence wields a powerhouse of good luck and alignment, yet the key is to use it without ego nor arrogance. This enchantment embodies the key to confidence: integration. When we integrate our journey's wisdom, experience, truth-- we BECOME it. Pure confidence is a state of BEING . Be bright, be bold and walk in confidence of who you are, your path in its entirety, your beingness and your peace. Experience bliss like a comet, soaring with a mission, a journey all your own, and may we join together in awe of the light and magick that unites us all. Pour the spring water in the glass container. Create a crystal grid with the stones, with the meteorite at the center. Before placing down each stone, meditate on integration. carnelian: who have you shared intimacy with? who or what has ignited passion in/for you? what situations driven by this force have you learned from? meditate with carnelian and activate balance in its power. what is it saying to you? citrine: what wishes have come true? where have your goals and ambitions brought you? how have your desires and the path you took to achieve them helped you understand yourself better? amethyst: what has your intuition taught you? connect with your highest guidance and hear/see/feel deeper levels of your knowing. meteorite: you are made of stars. know this. feel what that means. Place your perfect bloom to float atop the crystal grid and leave to bask in the dark of the moon. In the morning, take the crystals and flower out, and pour the water in a glass bottle, filling it half way. Fill the other half with an organic alcohol. Place 22 drops of this mixture in a tincture bottle. Fill the tincture 1/3 with organic alcohol and the remainder with spring water. Use 7 drops under the tongue whenever needed for a confidence booster. Or 5drops 5times a day until the bottle is empty.